While refinishing some old furniture, I noticed how beautiful natural wood can be after sanding. These particular furniture pieces were made about 90 years ago, and I said, “I took off your old makeup, now you can breathe fresh air.” Since then, I have admired the beauty of wood and the history of furniture. 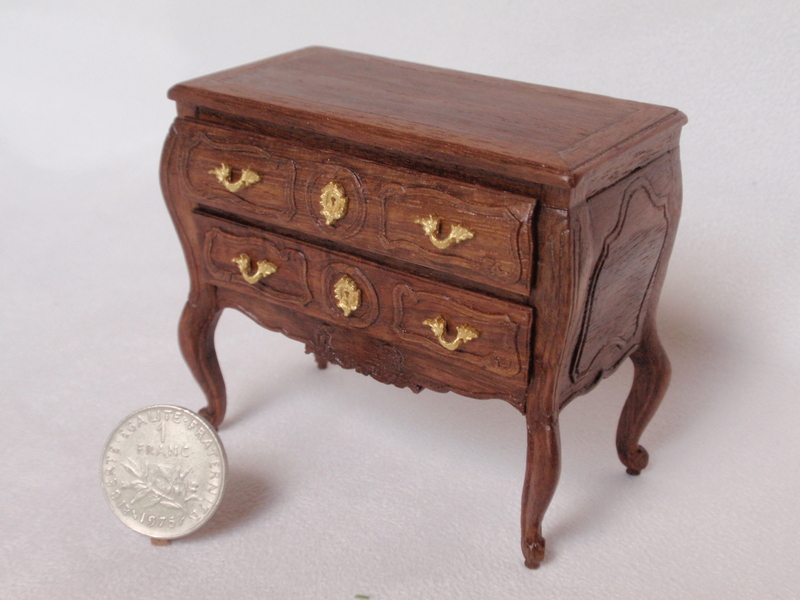 I thought, “I am not sure I can make life-size furniture, but I might be able to make miniature furniture.” And one day, if someone likes my work and decides to own it, she or he could pass it down from generation to generation. If I could make such works, what a splendid thing this would be! And I would be quite honored! This is absolutely what I wanted to do. I had to find a miniature school. My dream grew day by day. And then my passion for miniatures started. After attending the IGMA School in 2011, the world of miniature history and craftsmanship fascinated me. I had known it was bold idea for me to participate in the school, but I wanted to take miniature craftsmanship very seriously. I developed a deep respect of miniatures and the original inspiration in life-size furniture. I worked tirelessly to realize reproduction details. I aim to never gloss over any original details in my 1:12 scale miniatures. I really enjoy the difficulty of creating these pieces! For my first 2-3 years as a miniature maker, I focused my passion on determining what style of furniture “clicked” for me. I learned and developed my skills and techniques, rather than focusing on selling minis. For the past 2 years, I have focused on developing my skills further in hopes of obtaining the title of Artisan from IGMA. I soon learned what a wonderful experience it was to be a show dealer! Seeing people’s happy smiles and surprised faces makes me so very happy, and definitely energizes my work. Since I can only make a limited number of miniature furniture pieces per year, I sell these and take new orders at shows. Customers can contact me by email for commissions and I’m happy to share images of my work through online photo albums. I’ve always been fond of the French style, especially Louis XV and hand carved furniture. 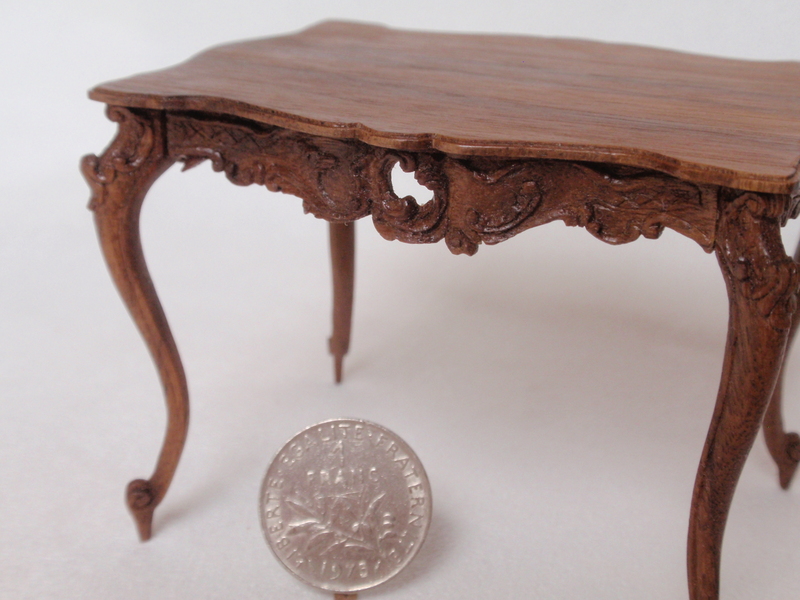 Since I’ve been working in miniature furniture, I remembered from my childhood that I loved making mini, mini origami and wood carvings. I’ve also always loved Marie Antoinette. What fellow miniaturists inspire you? Geoffrey Wonnacott and Harry Smith. 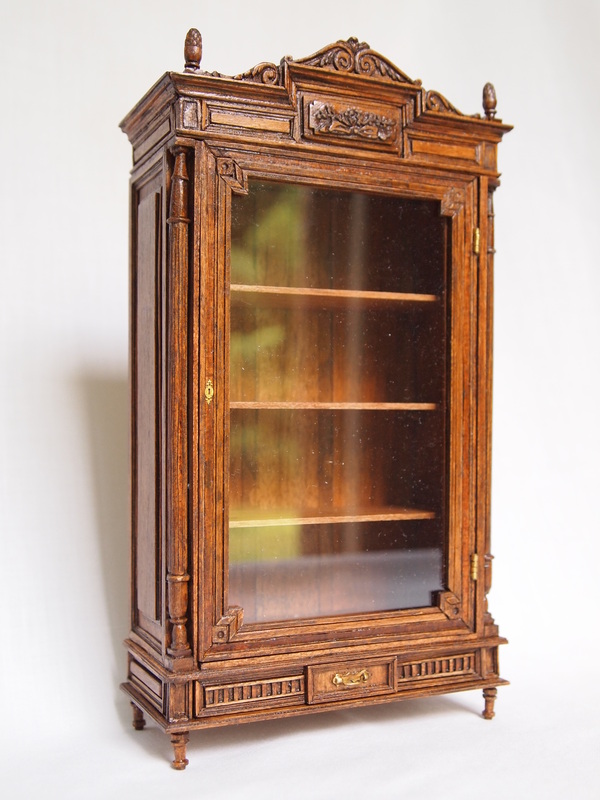 French cabinet maker François Linke and the Furniture Collection of Versailles (2 Vol. Set). I expect to attend Philadelphia Miniaturia 2015 from November 6-8. 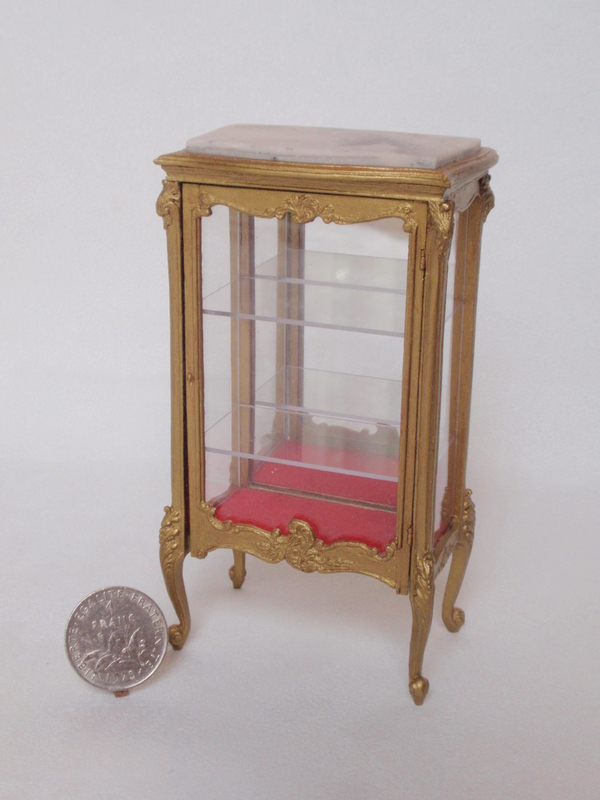 For more information and images of Masako’s absolutely breathtaking miniature furniture, visit her website and Facebook page.